Made of 12 Ga. mild steel. 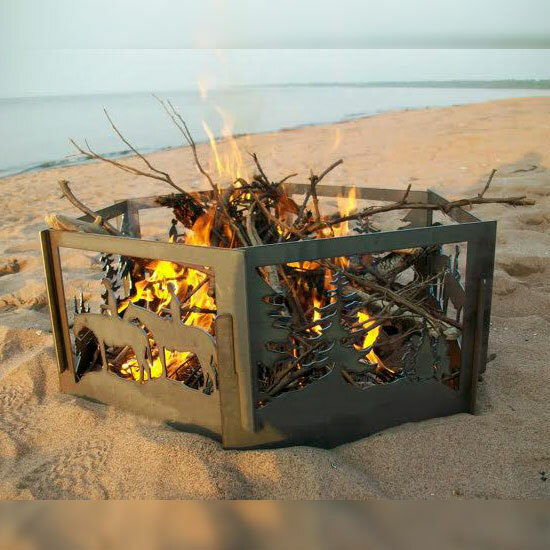 Each panel is 11" x 13" and locks together to make a very sturdy, stand-alone fire pit that can be completely disassembled and taken anywhere you want to go and comes with a heavy canvas bag. 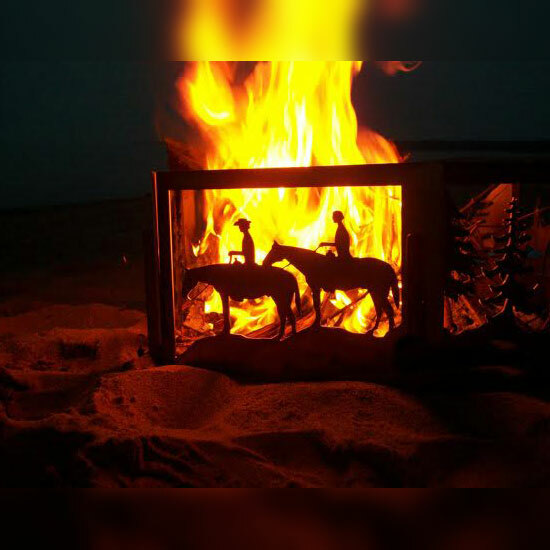 This pit has 6 panels total, with a horse & forest theme that makes it 23" wide. Over time, the fire pit will form a red rust patina. This fire pit can also be used as a base for a grill - just lay a grill grate over the top and grill your favorite camp food! You can use the same practices to clean your fire pit as you do for standard grills. Lay a base of decorative brick or rock under your fire pit to make a centerpiece for your yard and patio!